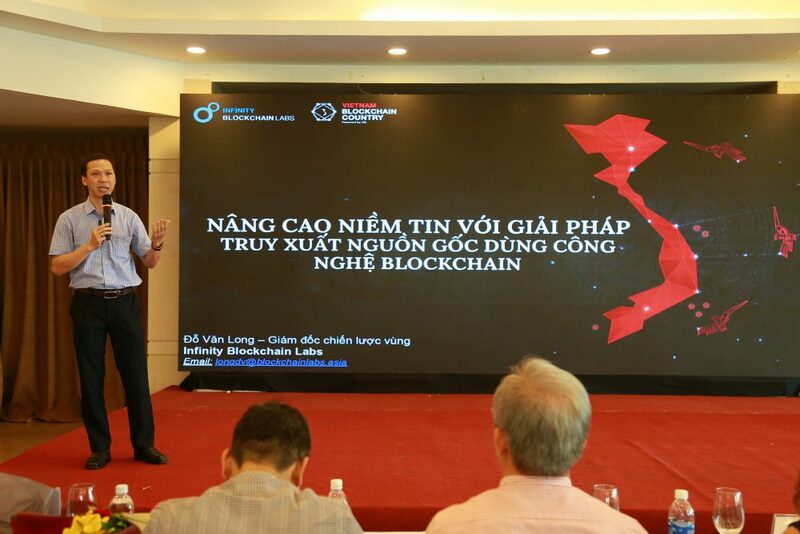 On March 15th, 2019 in Da Nang, Infinity Blockchain Labs discussed blockchain traceability solutions at the Conference “Vietnam Product Connection and Solutions for Business in new Digital Age.” The conference was organized by the Department of Industry and Trade of Da Nang City and Vietnam E-Commerce Association (VECOM) with the sponsorship of VTC News & SSDe.vn. 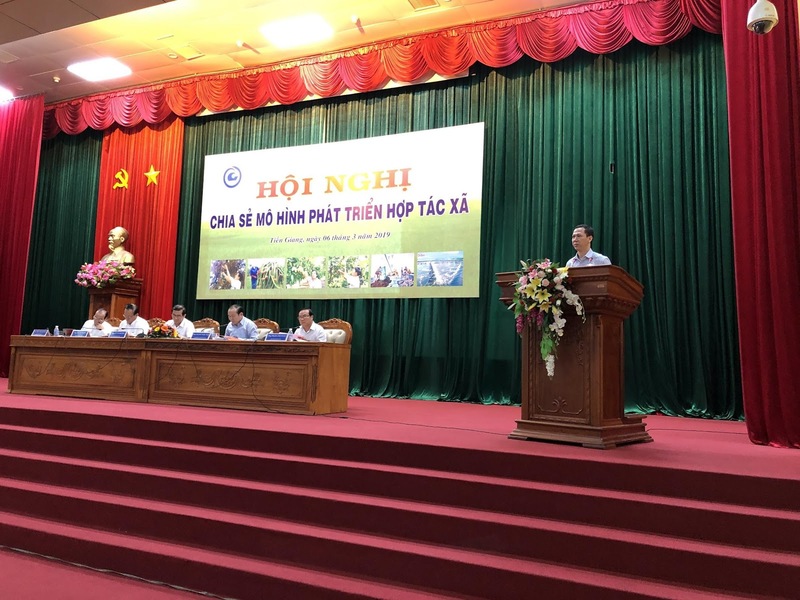 The conference attracted more than 70 Vietnamese manufacturing enterprises in clean agricultural products, processing foods, handicrafts, pharmaceutical materials, cosmetics, and more. 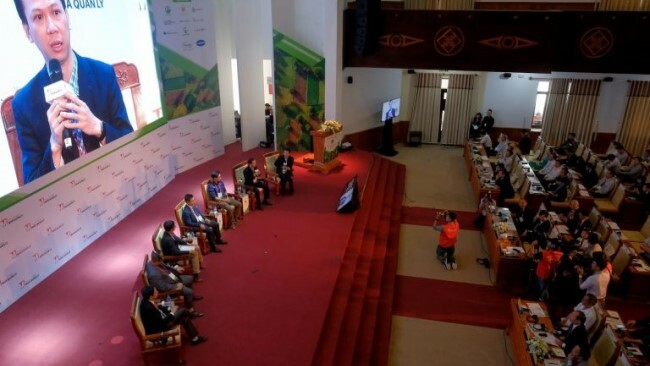 The conference aims to connect manufacturers and businesses in Da Nang city and other provinces to form a production supply chain for goods and services. This will create consumption channels for regional products with diversity, high quality, reasonable prices, and competitiveness in the context of international economic integration. The highlight of the conference is the expert’s sharing session which introduced technology applications, marketing communication solutions, e-commerce solutions to optimize business, and production activities in order to increase consumer trust in brands and products. 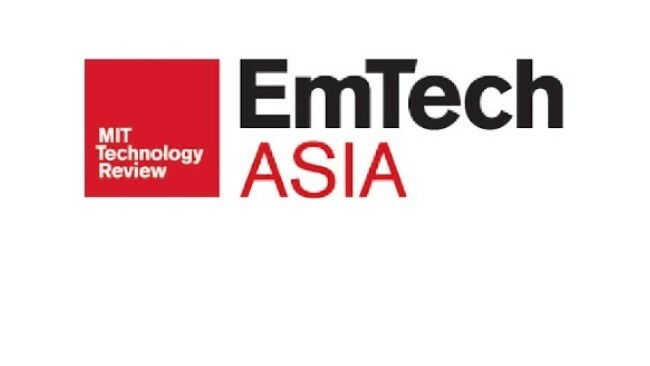 The conference gives small and medium enterprises the opportunity to interact with technology experts, update new trends for business strategies, and connect partners with suppliers. The conference also gave a brief review of e-commerce in Vietnam as well as introduce technology solutions to support business. Ms. Le Viet Nga, Deputy Director of Domestic Market Department (Danang Ministry of Industry and Trade) stated that Vietnam’s market, with the population of more than 100 million people, is an extremely potential market for e-commerce development. The trend of multi-channel sales, both online and offline, is booming. She also highlighted the importance of the coordination between technology enterprises with retails enterprises. In particular, the solution of traceability with blockchain technology is a topic that attracts the attention of many businesses. 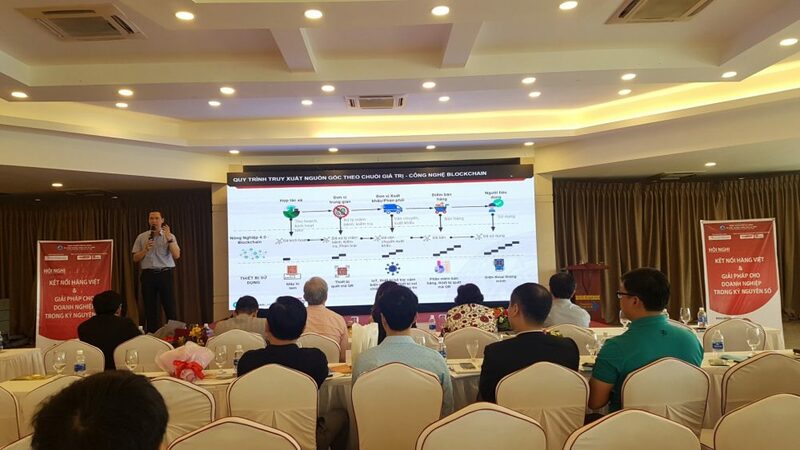 Mr. Do Van Long, Vice President of Vietnam Blockchain Chapter, and Regional Chief Strategic Officer of Infinity Blockchain Labs, summarized his practical experience in deploying blockchain technology in the solution of traceability of agricultural products according to value chain with a pilot project on My Xuong mango product in Dong Thap. Blockchain technology is applied to make the origin and quality of products transparent. Traceability using blockchain technology helps consumers verify the quality of agricultural products, minimize fraud and risks in the supply chain, and improves the reputation and brand value for businesses. Currently, The Prime Minister has just issued Decision 100 that mentioned the use of technology solutions (Blockchain, IoT, AI, Big data …) on the deployment, application, and management of such a traceability system. 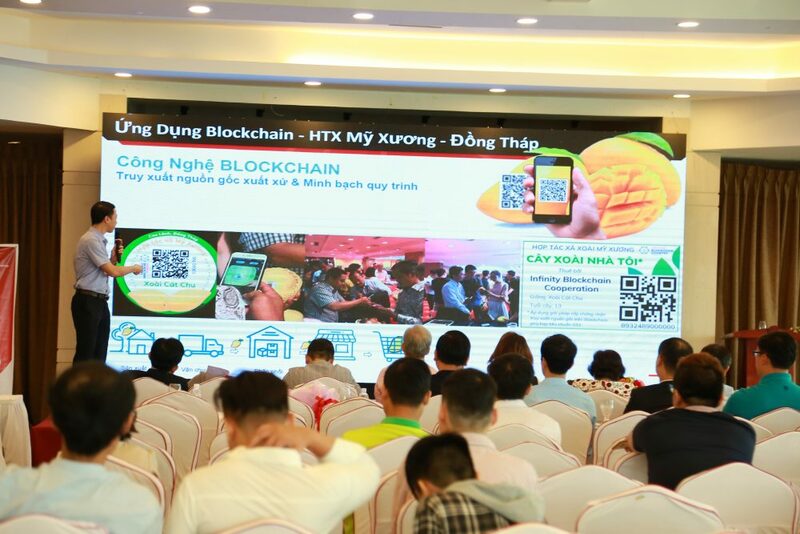 On that basis, Mr. Long proposed the implementation of a pilot project to apply blockchain technology in developing Smart Agriculture 4.0 in provinces. The high-quality agricultural products that can be accessed according to the value chain will enhance brand awareness, thereby promoting and expanding the Community Agriculture model. Blockchain technology received wild praise of the participants and enterprises at the conference. 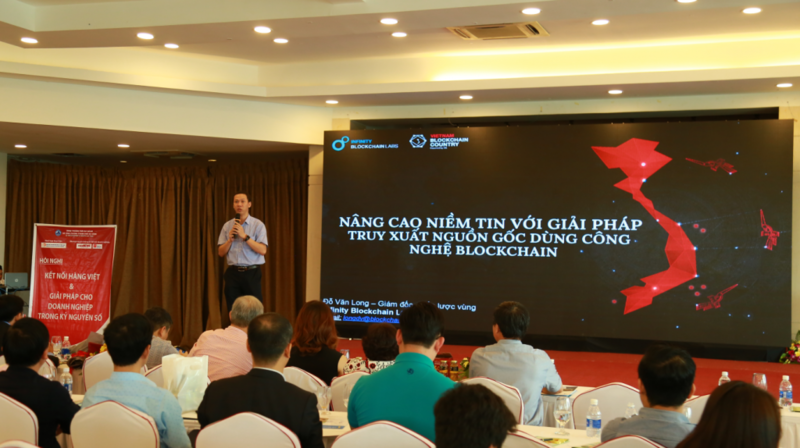 Vietnam Blockchain Country (VBC) is a strategic mega project dedicated to transforming Vietnam into the world’s next blockchain ecosystem leader. The project aims to connect Vietnamese regulators, policy-makers, tech entrepreneurs, business leaders, educators, and for-profit and nonprofit organizations that aspire to be part of the transition into the future. In fulfilling this mission, IBL turns the complexities of blockchain technology into practical solutions through a comprehensive range of IT consultancies, the creation and integration of Apps, and an unyielding commitment to the research and development of cutting-edge blockchain innovations. Named one of the top ten blockchain technology solution providers in 2018 by APAC CIO Outlook, the 200+ employees at IBL aspire to empower Vietnam and all of humanity with powerful blockchain innovations to power the future.